It’s a battle between Mario and the farm, and the farm seems to be winning. Yesterday, Nintendo reported an annual loss — its first in more than three decades — after revenues fell 36 percent. Hours later, five-year-old upstart Zynga reported nearly the opposite results, saying that first-quarter revenues jumped 32 percent year over year. For more than a year, the game industry has worried about the shift toward social and mobile from more traditional platforms like the home console. And now, after yesterday’s two drastically different financial reports, there is more than anecdotal evidence for concern. Zynga continues to gain momentum and attract larger audiences with titles like FarmVille and CastleVille on Facebook and Words With Friends on mobile. On the flipside, Nintendo is facing yet another hardware cycle, with consumers waiting for its newest console, the Wii U, coming later this year. Generally, experts believe that social and mobile games are expanding the overall games market. But yesterday it was hard not to see Nintendo’s first loss in three decades — totaling $531.1 million — as a hint of where things are headed. Michael Pachter, an analyst with Wedbush Securities, is bullish on Zynga’s prospects but is not optimistic about the future of console games. To be fair, the companies approach the market completely differently, so it’s hard to compare the two. Nintendo sells proprietary portable and home gaming units as well as the games that work on top of them. Meanwhile, Zynga gives away its games for free and lets them work across most computers and mobile phones. It makes money on advertising and microtransactions. The two approaches lead to drastically different audience sizes. Zynga said the number of monthly active users playing its games increased to 292 million in the first quarter, up 24 percent. The game company, which got its start on Facebook, is also expanding rapidly to mobile, reporting that it had 22 million monthly users on mobile, up from only 12 million one quarter ago. Nintendo does not break out quarterly figures, but the number of new customers it reached during its fiscal year pales in comparison. Over the past year, it sold 13.53 million 3DS units, and expects to sell 18.5 million this year. Nintendo sold 9.84 million Wiis over the past year, down 35 percent. This year, Nintendo is banking on the Wii U to revive the company and to better position itself against mobile devices like the iPad. The new console will come with a 6.2-inch touchscreen that will allow users to interact in a new way with games on TV screens. 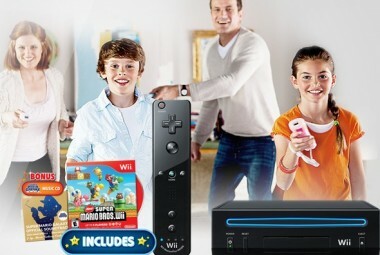 It plans to sell 10.5 million Wii units this year, including the Wii U. Last year, Nintendo Global President Satoru Iwata told AllThingsD in an interview that he is not willing to gamble on free-to-play games, because consumers are willing to pay for Nintendo’s superior experiences and brands. “If we were simply going to say okay, the only the way we could sell more products is by decreasing the price, then there wouldn’t be a bright future, and the entire industry will fold,” he said. His point is not entirely lost. Zynga makes far less money per user than Nintendo. In fact, the gap between them is enormous. Each console or portable game unit Nintendo sells has the opportunity to generate hundreds of dollars in income, since console games cost $60 and portable games cost around $40 (not to mention the initial cost of the hardware). Meanwhile, Zynga makes very little on each player. It reports a metric called average daily bookings per average daily active users (ABPU). Yesterday, Zynga said ABPU increased to $0.055 in the first quarter from $0.051 in the same period a year earlier. For Nintendo to switch from one model to the other would be like giving up the farm. And to be entirely fair, Zynga wasn’t profitable, either. In the first quarter it lost $85 million, primarily due to stock-based compensation.